That’s not quite true. You may think you’re no longer thinking about the ‘thing’ that’s eluding you, but your brain is. It’s rather like using ‘search’ on a computer. The computer may be running another program but it’s also looking for what you set it off to look for. The brain does the same thing and works on the problem long after you’ve moved onto other things. When I recall some of my earliest memories it’s just the same. Some things the brain is successful in recalling the link and the memory pops up, or brings back a snippet. Sometimes you need the help of someone you shared the experiences with. When I think back to my early childhood, say around 6 years old (1963) it’s snippets the old noggin has in it. Like most people, I can’t run the memories like a film, scene by scene and in order. One of first friends around then was Mr Velocipede, who hadn’t long moved in. He and his family were from the North and therefore, as far as I was concerned, had funny accents, especially his mother and father. They owned a car, a Mini, no more than five years old (the first being produced about five years before in 1959). I’d never seen a Mini before. There weren’t that many who owned cars in the Street in those days. Mr Velocipede Junior and I became great friends shortly after his arrival. When I think back it seemed like he was around a long time, but it was only a matter of four years, unfortunately. We shared a love of fantasy programs. 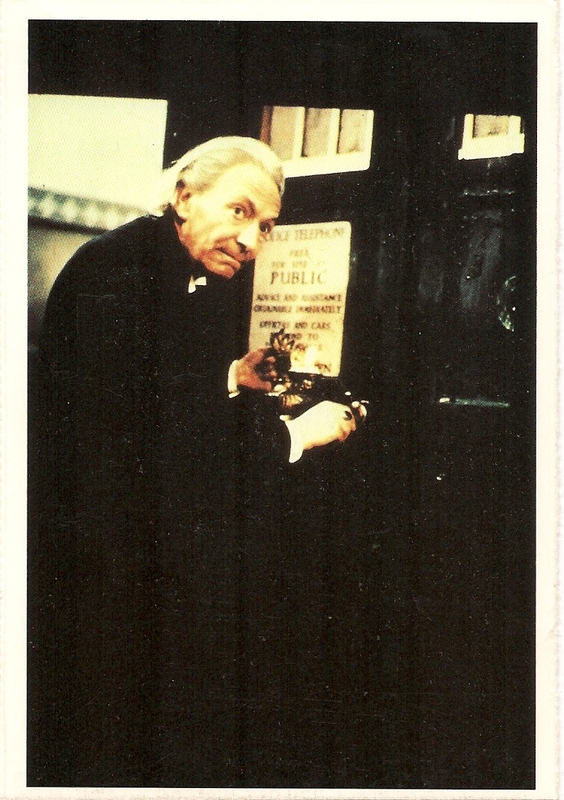 By this time, Doctor Who started on 23rd November 1963, and repeated again on the 30th due to black outs and the hot topic the week before which was the assassination of President John F Kennedy. (Aren’t everybody of mine and my parent’s generation supposed to know what they were doing when he was killed ) and was essential viewing to the young Fitrambler and Velocipede. It shows how little has changed because I must confess it’s still essential viewing for me now. My back garden was the interior of the Tardis and the gate leading into the road was the latest planet, which we pretended not to notice was exactly like the last planet we visited. The TV Series suffered the same dilemma in later years, having to pretend the same quarry was a different planet. 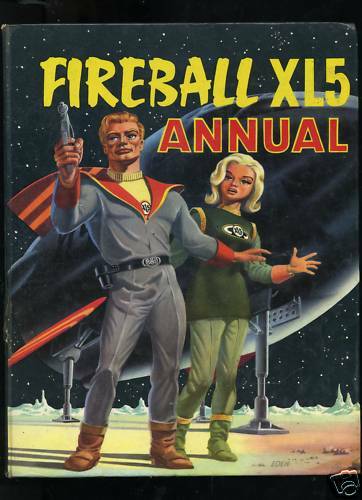 Prior to Doctor Who, it was Fireball XL5 we invented our own stories for. I was Steve Zodiac. Funnily enough being the eldest and tallest allowed me to have all the hero roles! Over the years other shows came on television and we played them. 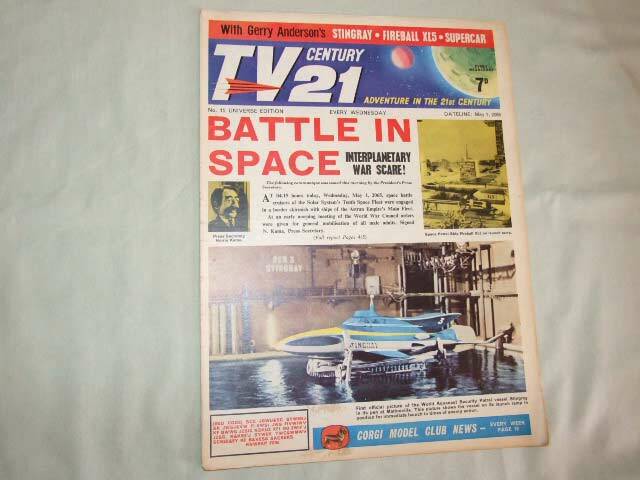 After Doctor Who it was Stingray (1964/5), then Thunderbirds (1965). Nearly all these shows had their own strip in our favourite comics. We rushed indoors when the program was on. Needless to say Mr Velocipede and myself played our own versions of the games. I remember having all the Thunderbird models over the years. Thunderbird 5 was remote controlled, it circled round and the lights flashed. Unfortunately, I wasn’t allowed to play with it much because my sister found it too scary. If we couldn’t get the models then Mr Velocipede and myself would still find ways around it to play our games. Plasticine was always good for games, you could mould it to suit whatever you were playing. If it didn’t exist in reality, then we’d let our minds create it. Of course, when Mr Velocipede came to town, we both used our most entertaining gadgets. Our bikes. Three wheelers, with a tin boot where we would store all sorts of things. Space rocks (broken bricks or flint found lying around), toys and anything other junk that took our fancy. We stuck to a small area, although as young children it didn’t seem that small. Going outside the area, right outside, beyond the park at the bottom of Ripon Way was a really scary adventure. It wasn’t something you did lightly. At the bottom of the back streets, across another large road, was a field. There were two entrances. One was between a block of flats and the back of some gardens. The other was an alleyway. It was often a dangerous place to be. There was one time that we got into a stone throwing fight with another group. I don’t remember who won or whether there were any winners. I believe we got away without much harm coming to us. Getting to school in those days was on foot. Mr Velocipede and I often walked together. For me my four years or so at school was a dangerous place. Unfortunately, Mr Velocipede’s father increased that danger, not intentionally, but he still increased it. It was bonfire night the problem started. Mr Velocipede Senior and Mr Fitrambler Senior held a joint fireworks display. I remember lighting one which went straight up Daddy Fitrambler’s jumper and out the other end while he was bending down. Lucky it was a baggy jumper and he wasn’t hurt. Unsurprisingly, I was told off for that. Can’t be the most pleasant of experiences, a firework whizzing through your Aaron jumper; probably unsettled Daddy Fitrambler. A little later in the evening two kids a couple of years older than Mr Velocipede Junior and myself came up to our end of the street. They messed about with fireworks in an even more dangerous way than me, setting off one aimed at us in the garden. Mr Velocipede Senior wasn’t happy. He dashed out at the kid, grabbed a handful of his jacket and pointed out rather vigorously what would happen if it aimed one again at the Fitrambler household. Today, a rights-knowing kid, would’ve got Mr Velocipede a night or two in the cells. There was some fall out. The kid in question wanted revenge. So catching me alone, he and his brother decided to make life unpleasant for me. They pushed, shoved and hit me around at every opportunity on the walks to work. This went on for a very long time. I suppose I should have told them it wasn’t my father that did the deed but Mr Velocipede’s, but I couldn’t. I’ve always had this sense of loyalty – despite my ongoing subscription to the Cowards Society. Then Velocipede family moved away. I was just about old enough to understand that they were going to live miles and miles away in a house of their own, rather than a rented council place. Mr Velocipede was back in town…. Well it was scary to me!